We have a cover reveal today for the latest addition to the Timeless Regency Collection: Wedding Wagers by Donna Hatch, Heather B. Moore, and Michele Paige Holmes. Pre-order your copy on Amazon for just $4.99. 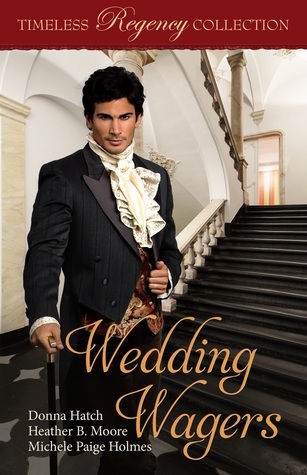 Add Wedding Wagers to your To Read list on Goodreads.